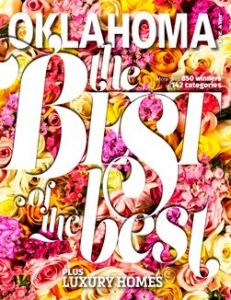 After three months of collecting thousands of votes, the readers of Oklahoma Magazine have named GableGotwals as one of Oklahoma’s Best Law Firms. Hundreds of companies and individuals were named The Best of the Best 2015, from small, locally owned stores to major corporations in a variety of categories. The magazine offers information on the best of everything, from pediatrician to paint store, steakhouse to staffing agency. Readers recommend where they like to shop, travel and go for a little TLC. Click here to read more in the magazine.